We are a locally owned refuse company. We believe that homegrown is best, and that it's Alaskans helping Alaskans that makes our state such a great place to live. My dad grew up in Alaska after my grandparents decided to move to the last frontier when he was just ten months old. I was born and raised here. And with my deep roots and Alaska Native heritage, Denali is much more to me than just part of our name. 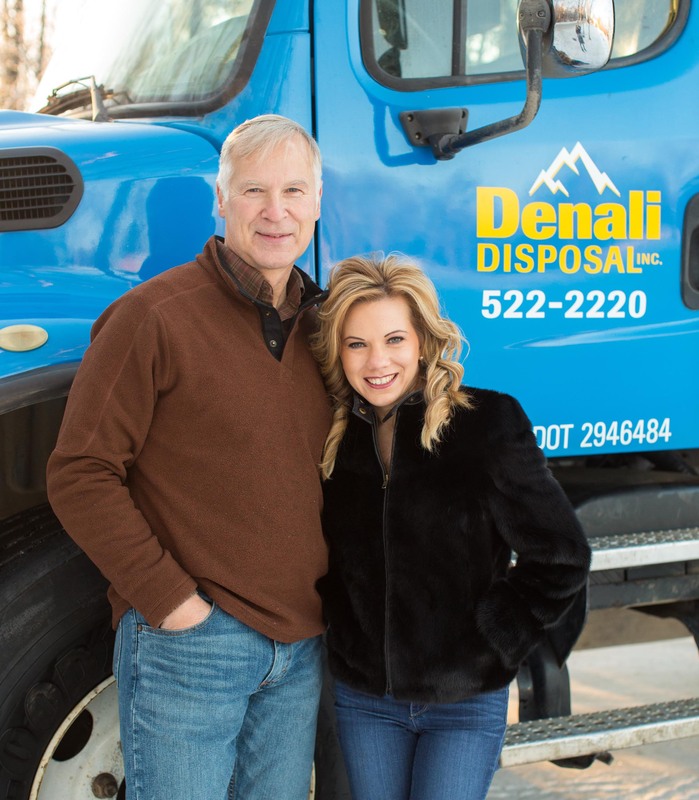 We are a father/daughter partnership and while our name may be new to you, it was my mom and dad that sat at our kitchen table many years ago and started what is now Alaska's largest waste company. With our reputation proceeding us, we have entered the waste market once again. We believe that customer service should never be compromised, that every customers needs are unique and that superior quality should be the rule, not the exception. We know how hard Alaskans work and believe pricing should be competitive. We also believe your time is just as valuable as our own and that you shouldn't have to sit on hold just to talk to someone. With this in mind, we invite you to give us a call, save money and do business with an Alaskan-owned company. "Having opened our nursery in 1972, we know what a difference Alaska grown can make. Superior quality becomes the standard and customer service becomes exceptional. 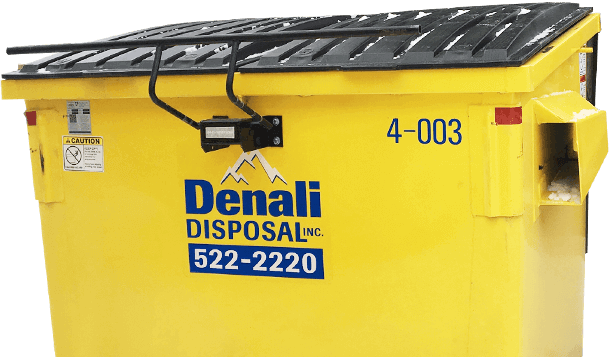 Working with Denali Disposal, they have exemplified these shared values, making them an outstanding company to work with." Dan Zipay has operated his own trucking business for 40+ years and has nearly two decades worth of experience in the waste industry. Bernadette and her daughter Penelope, sitting up high in front load truck 'Frenchie'. Clients have come to know Penelope as Denali Disposals littlest assistant business manager. Bernadette with rolloff truck Miles in Florida where he was purchased. Driver John out on the route. Dan inspecting 'Frenchie' from the top before he was put into service. After all his years working in the trucking and waste industries, Dan still find enjoyment in 'playing' on the equipment.